Back in Auckland for a couple of days, I wanted to fit in a trip to what has been voted ‘Auckland’s best day out’? Waiheke Island, aka ‘Jewel of the Hauroki Gulf’ is a forty minute boat ride away from the bustle of Auckland, an easy daytrip with the promise of good tramping tracks and other activities such as kayaking and mountain biking. Lunching out and visiting art galleries and wineries offers an alternative for those after less of a physical challenge. 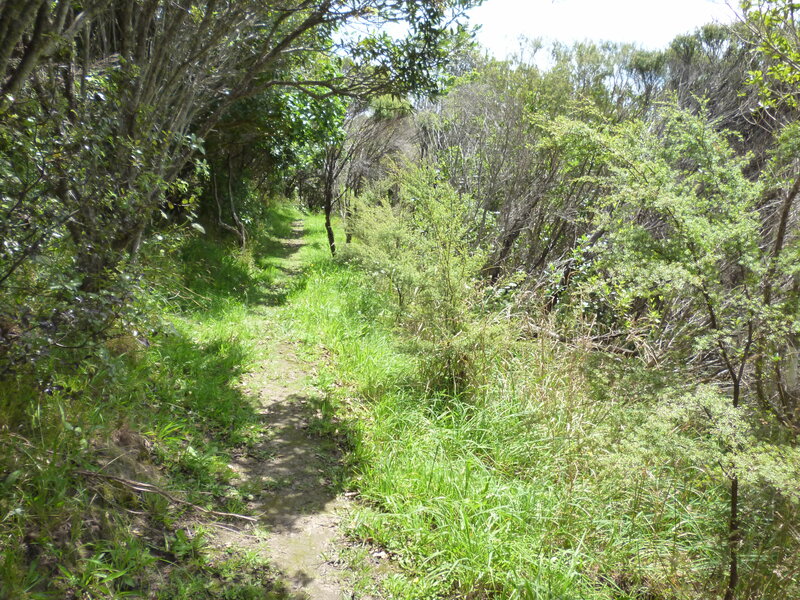 If I’m honest, I had hoped to go to the Great Barrier Island which sounded incredible and more off the beaten track, but the practicalities of getting to Waiheke and the more structured nature of the walking tracks meant that for a solo adventure it would be the better, safer option. I had woken up tired and a bit hungover after a late night of beers and chats with my CouchSurf host, Nate. Without a clear head, a total random, unmarked adventure may have not been too smart. So Waiheke it was. And what a lovely decision. I arrived into Matiatia Wharf just before midday having shared a ferry over with day tripping families and groups of friends. Everyone seemed to be wearing flip flops. Were none of them planning on hiking? I set off boldly in the wrong direction before being walked to the right start point by a taxi driver. ‘Tide’s in so you’ll have to use the goat track’, he told me before disappearing and leaving me to do a cliff scramble through thickets and under branches for a few hundred metres. Re-joining the path, I traipsed through tall grasses and clusters of trees alive with the sound of cicadas, and close to grand houses with manicured lawns, vast glass frontage and wide driveways, nestled neatly into the hillsides. I watched bees feasting on thistle flower nectar and boats bobbing around in a wind rippled sea. 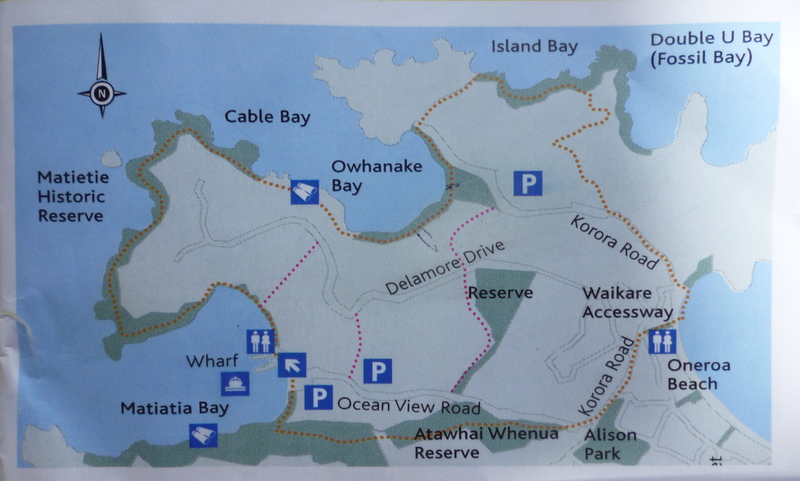 I was on the ‘Northern walk’ (North Yorkshire, North Devon and now North Waiheke – can’t keep me away from the north! ), a hike said to be ‘ideal for visitors wanting to take in as much of the island as is possible without venturing too far away from the ferry’. The walk from Cable Bay to Owhanaka Bay was a bit of a killer: a stretch of steep calf burn followed by a knee crunching descent. Luckily it didn’t last and was followed by a blissful flat period and a bench where I sat down to reapply sun cream and refuel in the company of anchored speedboats. Clearly it was food and siesta time. 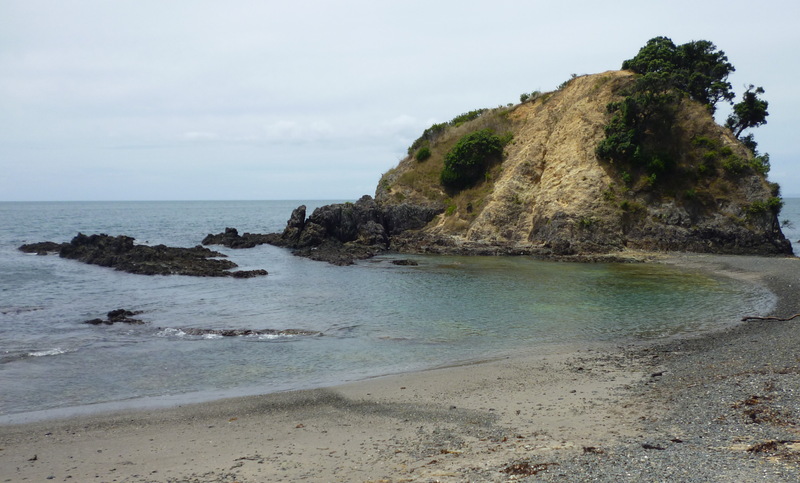 The cut across to Island Bay went through a lush garden of reeds and palms and bushes, ending at the prettiest little bay where crystal clear waters lapped onto the beach and sea-seasoned tree trunks lay washed up on the sands. And then the climbing started anew, but this time on steady, constructed steps that wound ever higher to give wide views out over the coves, a patchy, turquoise sea topped with a little white chop, and not a soul in sight. Things then got easier. The path that had thus far wrapped around the coastline now meandered inland through olive groves and vineyards and along dusty, wider tracks until I reached one of the few actual roads crossing the island. Walking by houses with boats parked out the front, I tried to imagine living here: nature and beauty on your doorstep. But too isolated, I concluded. Not for me. The last little walk from Oneroa Beach back to Matiatia Bay took me through the Atawha Whenua Reserve full of clematis and pigeonwood and NZ mahogany. Known as a good bird watching spot, my untrained eye saw nothing other than a load of little plaques detailing various trees. 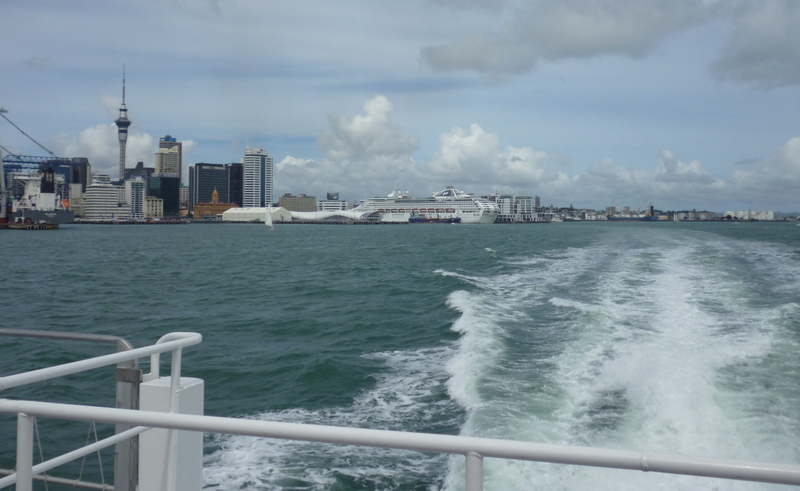 I got back on the boat to Auckland with all the flip floppers but now I noticed that there were also women in pretty summer dresses and high heels carrying handbag dogs, and I thought, have I totally missed something here?